The Archival Methods White Archival Paper is acid and lignin-free. This 70 lbs. text weight paper is buffered with 2% calcium carbonate reserve to prevent environmental contamination and is carbon free. 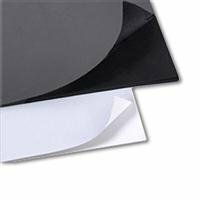 Ideal for album pages, interleaving between prints or lining when a acid free surface is needed.